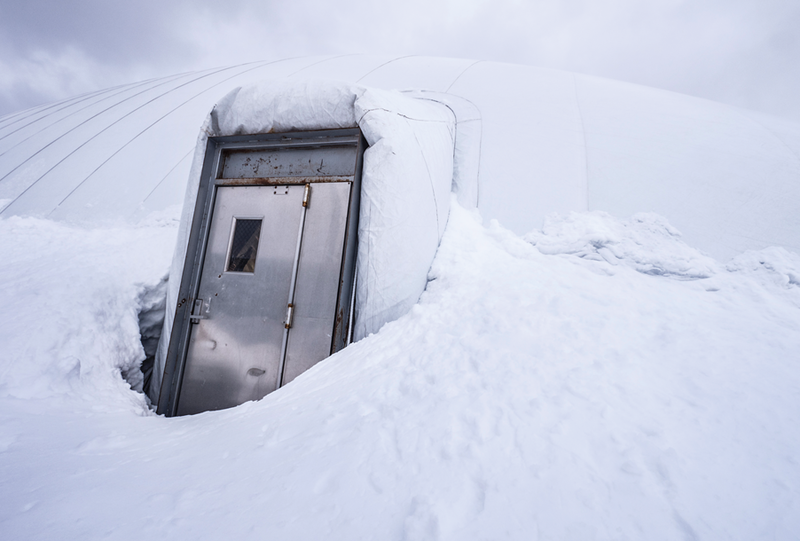 The summer before his third year at Augsburg, Fekireselassie Beyene ’16 was paid to research Earth’s magnetosphere. He worked in a lab on campus under the direction of a physics faculty member. And he discovered a passion for space physics. Beyene’s research, which was funded by Dean ’91 and Amy Sundquist his first summer and TRIO McNair Scholars for the second, helped him stand out in national scholarship competitions. The following year, he was awarded a Goldwater Scholarship, a prestigious national program that provides financial support to undergraduates who show the promise of becoming leading scientists, engineers, and mathematicians. Then, Beyene’s Augsburg advisors helped him successfully apply for the National Science Foundation Graduate Research Fellowship Program, providing him with more than $100,000 for graduate school. Augsburg’s undergraduate research opportunities are paying off for students like Beyene, who compete alongside the nation’s top students to land high-profile fellowships, internships, and scholarships as well as selection to highly competitive graduate programs. In fact, Augsburg had a banner year in 2017–18, with a record number of students earning prestigious awards and fellowships. Augsburg had six Fulbright winners named this past year and has been listed five times in The Chronicle of Higher Education as a top producer of Fulbrights for master’s level institutions. The previous single year record for Augsburg was four. Since 2008, Augsburg’s Fulbright winners total 29. An Augsburg student was one of just four Minnesota recipients of the Goldwater Scholarship last year. Out of 1,280 applicants nationwide, 211 were named. 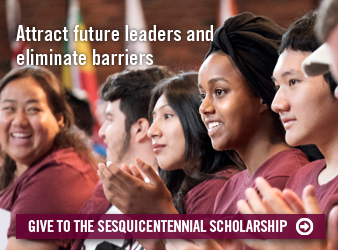 Three Auggies were Critical Language Scholarship winners in the first year that Augsburg undergraduates pursued this fellowship. Only 10 percent of applicants nationwide receive this award. Two of the students were selected to study Swahili in Tanzania; the third, to study Mandarin in Taiwan. Another two Auggies were Public Policy and International Affairs Program winners. Only 20 percent of applicants nationally are accepted into this program. One of the Augsburg winners studied at the Humphrey School of Public Affairs at the University of Minnesota. The other student spent seven weeks at University of California—Berkeley in a law-focused program. For the first time ever, an Augsburg student won a Boren Award, which honors undergraduates studying language in areas underrepresented in study abroad programs. The Auggie, who studied Swahili at the University of Florida this past summer, is continuing to study the language and culture in Tanzania this semester. He will commit to one year of paid federal government service after graduation. Many of these accomplishments are the result of Augsburg’s decade-plus commitment to providing undergraduate research opportunities for students. Two programs are responsible for much of this success: the Office of Undergraduate Research and Graduate Opportunity and the McNair Scholars program. URGO, now in its 14th year, offers an 11-week, on-campus, faculty-led undergraduate research experience with 50 students each summer. Students receive support throughout the research process from a faculty mentor, participate in weekly seminars, and engage in roundtable discussions with fellow student researchers to hone their communication skills. URGO also advises students about national fellowships, graduate school, medical school, and other health sciences. The McNair Scholars program is a federally funded program designed to prepare students from groups currently underrepresented in graduate school for doctoral studies to some of the most competitive institutions in the U.S. The program currently serves 26 students a year and includes 21 months of graduate school preparation workshops, travel to national research conferences, and hands-on scholarly research projects with faculty mentors. Fieldwork experience inspired Holley Kundel ’19 to apply for doctoral programs in freshwater ecology. Through these programs, talented Augsburg students are earning prestigious national opportunities that they otherwise may not even have known about. “Many [of the students] who win awards and fellowships had never even heard the word ‘Fulbright’ before they were in this program,” said Dixie Shafer, URGO director. Students agree that they gain key skills from research and writing in partnership with faculty members, presenting their work at conferences, and receiving hands-on guidance from advisors about how to translate those experiences into top fellowships, internships, scholarships, and graduate programs. And they often go on to other off-campus research experiences to expand their curricula vitae. Blair Stewig ’18, currently a Fulbright scholar in Poland, first did summertime research at Augsburg in a biophysics lab. She successfully applied for an Augsburg grant to do research while canoeing the Mississippi River during the 2015 River Semester experience, then did summer research with the Minnesota Lupus Foundation at the Mayo Clinic. The next summer, she conducted cancer research at Baylor College of Medicine in Houston. Currently, Stewig is conducting research on colorectal cancer at the International Institute of Molecular and Cell Biology in Poland and will shadow physicians and volunteer at the Maria Skłodowska Curie Memorial Cancer Centre. “Without my research experience and the support of staff and faculty at Augsburg, I don’t think I would have had the confidence to apply for the larger competitive research experiences,” said Stewig, who plans to apply for combined M.D./Ph.D. programs in the future. Similarly, two months into her first year at Augsburg, biology major Vision Bagonza ’17 regularly started visiting the URGO office and mapping her trajectory to medical school. “They were with me every step of the way,” she said. In her first summer research project, Bagonza worked on genomics research with Associate Professor and Biology Department Chair Matthew Beckman. “That was instrumental to my understanding of what was going on throughout the field,” she said. The following summer, she researched biomedical ethics at Mayo Clinic, and she spent her third summer researching malaria at Johns Hopkins. These experiences set the stage for her participation in the Mayo Innovation Scholars program, where she learned about the complexities of the FDA approval process when bringing innovation to market. Finally, Bagonza was awarded a full scholarship to the Cleveland Clinic Lerner School of Medicine after working closely with three URGO advisors on her medical school applications. “It was almost like they knew more about my story than I did,” Bagonza said. Shafer sees this type of faculty and staff interaction with students as a key part of helping students evolve. “Faculty and staff believe in students and then the students start believing in themselves,” she said. Fourth-year biology major Holly Kundel ’19 chose Augsburg after meeting faculty on a campus tour and learning that she would be able to do research directly with them. The summer after her first year, Kundel began her paid research on the rare Spatterdock Darner dragonfly in Twin Cities area wetlands. 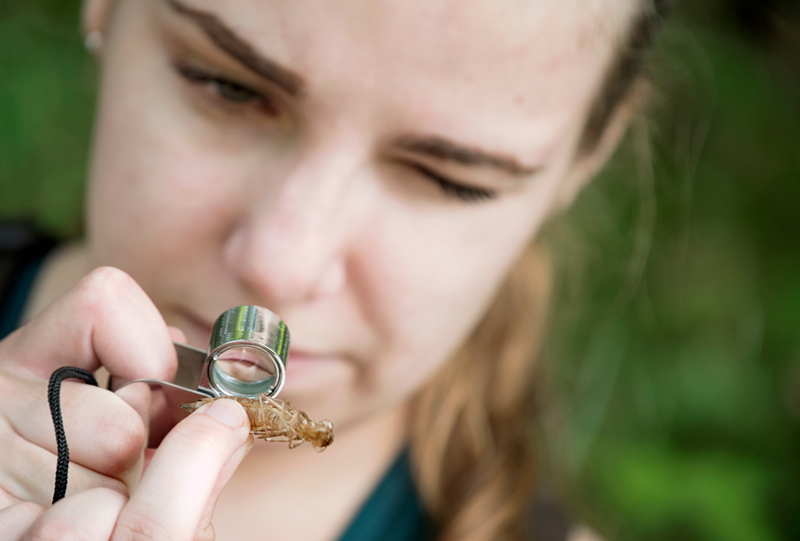 Kundel, who loves being outdoors during Minnesota summers, was drawn to the project after approaching Biology and Environmental Studies Assistant Professor Emily Schilling and learning that the research entailed doing fieldwork. Since then, Kundel has received other grants to support her research with Schilling. 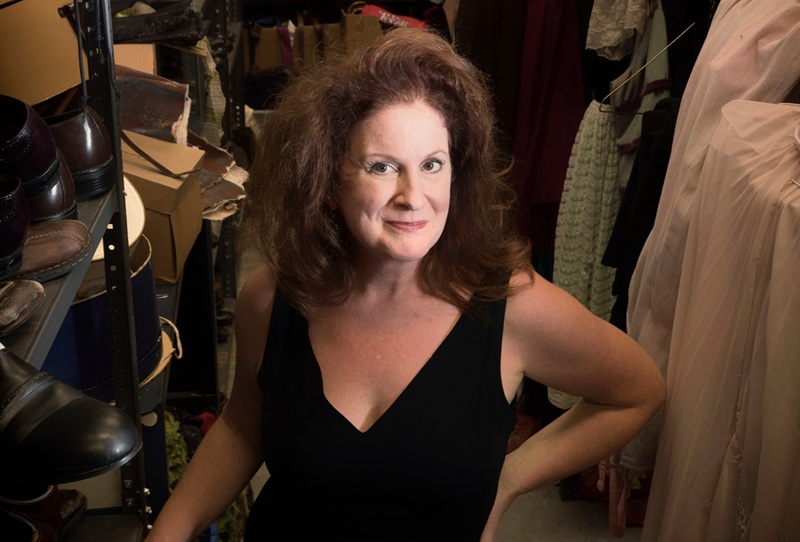 “It’s nice to work with a faculty member who knows exactly what my strengths and weaknesses are,” Kundel said. This year, Kundel received a Goldwater Scholarship, providing tuition assistance for her fourth year at Augsburg, and the associated prestige is expected to set her apart in her applications for doctoral programs in freshwater ecology. “I wouldn’t be applying to the graduate programs I am this fall if I hadn’t done this research at Augsburg,” Kundel said. While many in the URGO Summer Research Program are science majors, other disciplines are represented as well. English literature major Abigail Tetzlaff ’18 studied patterns in language and rhetorical uses in poetry and prose. Currently a Fulbright Fellow in Berlin, she is an English teaching assistant and plans to pursue a Ph.D. in English literature to ultimately become a university professor. “Especially for undergraduates studying within the humanities, it isn’t very common to come out of college with a research experience already complete,” Tetzlaff said. For Beyene, if not for the direct support from faculty and his McNair Scholars and URGO advisors, he wouldn’t have considered himself graduate school material. “Being at UCLA now, I realize how fortunate I was to have programs like McNair and URGO,” he said. 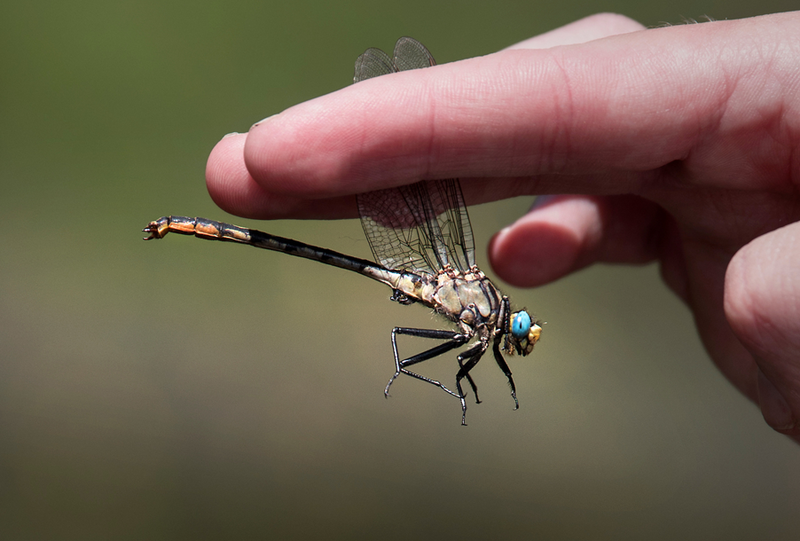 [Top image]: Undergraduate research boosts the resumes of Auggies like Holly Kundel ’19, who looked for a rare dragonfly in Twin Cities area wetlands.